What makes a good video game movie? Well, judging by the few examples that I enjoy, the first step is to make a film anyone can watch and follow. The big thing is that it needs to be, you know, a movie. It has to work the way good movies work. That’s because far more people watch movies than play video games. The hope in making a film adaptation of a game, is that far more people will watch it than played its source material. The ceiling for a movie audience is hundreds of millions of people. The ceiling for an online video game is tens of millions of people. “World of Warcraft” might be famous, but that’s only because everybody knows it exists, not because they know anything about it. That doesn’t equal popular, at least in the grand scheme of global culture. The game is merely king of a niche space. That niche space — the world of video games — is well known for being unfriendly to outsiders, in both its often hostile community and its narrowly-focused games. A big-budget movie like “Warcraft,” on the other hand, has to serve a inclusive audience. But it doesn’t. “Warcraft” is a movie that assumes you understand all the nerdy concepts it’s pitching you before you watch it. It tosses you headfirst into a world full of hulking CGI green people with vague motivations … and humans with vague motivations … and magic people with vague motivations. But these motivations are only vague in the movie — the factions and magical concepts and conflict we see in “Warcraft” are well-established elsewhere. But if you come into “Warcraft” ignorant of what the Horde or the Alliance or Aezeroth or Fel magic are, you’ll be lost because the movie certainly doesn’t bother to explain them. Ironically, that means it doesn’t even serve its own video game audience. “World of Warcraft” may boast volumes of backstory, but that’s not really why its fans play it. “World of Warcraft” is what’s known as a “massively multiplayer online role-playing game,” the hook for that genre being “hang out with your friends while doing digital busywork.” One of my best friends, for example, has been playing “World of Warcraft” for years, but she’s clueless about any of the story stuff. And that’s not uncommon. Yet here we are with this movie full of strange, unfamiliar concepts that it never bothers to explain. Over at Digital Trends, my former colleague Phil Hornshaw likened “Warcraft” to the “Lord of the Rings” films if they didn’t have hobbits to explain everything to us as they travel the world experiencing all these weird fantasy things. It’s a painfully apt comparison — “Warcraft” has no audience surrogates to explain anything, so nothing’s ever explained and the audience gets confused at every turn. The best example of this in the film is when our human protagonist, Anduin Lothar (Travis Fimmel), finds an interloper studying the dead body of a person killed by the invading green orcs. This interloper, Khadgar (Ben Schnetzer), suggests that the manner in which the person was killed is particularly troubling, with important ramifications for the world. But instead of explaining why, Khadgar says they need a “Guardian” to explain it. The first question I had at this point was: What’s a Guardian? Khadgar made the remark as if all they had to do to get an explainer from a Guardian about the magic thing was to call him up or walk down the hallway. But no. Asking the Guardian about how that guy died involves asking the king for permission to talk to a Guardian and then a long journey to the goofy tower in which the Guardian lives. In the meantime, we still aren’t told what a Guardian is. And finally meeting the Guardian doesn’t shed much light on that. But at least we sort of get an answer to why that dead guy was dead — it’s evil magic called the Fel. OK! Why Khadgar couldn’t have just said that is unclear. It’s not as if the Guardian explains it in detail — in fact, we never get a good explanation for what the Fel even is. We simply see that its use makes the land barren and the wielder a bad guy. Toward the end of the film, Lothar sets off to fight someone corrupted by the Fel and says something like, “Let’s go kill a demon.” Oh, so the Fel is something more than just the Dark Side of the Force? But he never elaborates on that “demon” comment. One of the lazy marvels of video games is that they have a cheat for explaining all of their concepts in the form of in-game encyclopedias. So if the game itself does a bad job of explaining what’s going on, it’s cool because you can always just read the encyclopedia (more commonly referred to as a codex). A movie, of course, doesn’t have a codex. All you get is what’s on screen. Yet the way “Warcraft” tells its story is as though it expects you to pause at any point to look up whatever fantastical thing it can’t be bothered to explain. The whole movie is like that, stubbornly refusing to give any ground to regular viewers who don’t understand any of what it’s showing us. And in true video game fashion, “Warcraft” ends with a weird cliffhanger right as the plot starts ramping up. In video games we’d make jokes about the developers running out of money to finish it, but it appears to have been an intentional creative decision here. So not only is “Warcraft” super obtuse, but it’s also only half a movie. Just in case you weren’t alienated enough. It’s not as though the story being told in “Warcraft” is fundamentally inaccessible. It does, however, feel as though the nerd overlords at the game‘s publisher, Blizzard, who had a large amount of creative control, couldn’t be bothered to make it accessible. Blizzard is a dominant force in the video game industry, but not as a storyteller — stories are incidental to the success of its games, so the company has never actually had to care about telling one before. 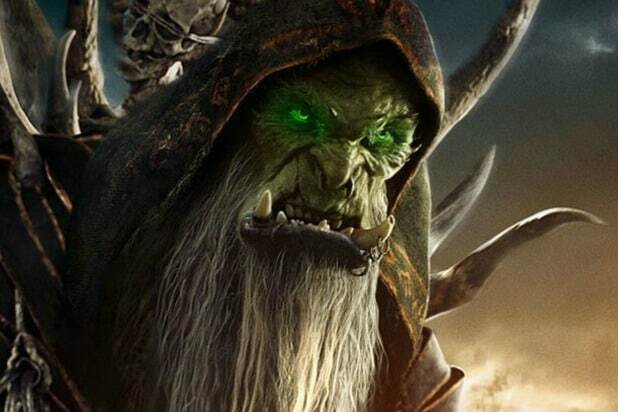 Unfortunately, the “Warcraft” movie doesn’t feel like it cares about telling you a story. And that’s why it fails as a video game movie. Because it just fails at being a movie. 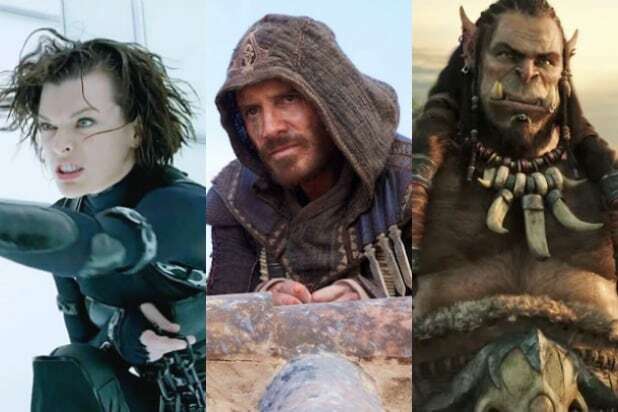 How does “Warcraft” stack up against the rest of the roster of video game movie adaptations? Find out in our rankings of every theatrically released video game movie below.